I want to let you ladies in on a little secret! You CAN have long beautiful lashes, without extensions and Latisse. It’s called a Lash Lift (lash perm)! It is a 30 minute service that lifts your natural lashes from the base of the lid up and out and leaves it that way for 5 weeks. I kid you not! My eyebrow/make-up clients absolutely LOVE this service. We do it here at The Skin Spa in Kansas City. The lash lift alone is $80 and you can add lash tint for an extra $20 to make those eyes POP! just keeping you informed on what’s HOT for Spring! 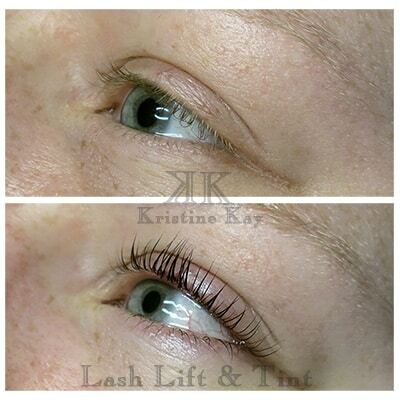 The Lash Lift & Lash Tint is available at Kristine Kay Skin Spa. It is a 30 minute service that lasts 5 weeks for $80 (lash lift) or $100 (lash lift & lash tint).